Self-driving for long distance travel is for those who love the journey more than the destination. It gives you multifaceted freedom and brings you closer to your tripping surrounding. And the best part is that it makes you own the every bit of your journey. You can decide the pace of your travel while maintaining your own privacy. I am always confused whether I self-drive to travel unseen places or I travel to unseen places to enjoy self-driving. My city Delhi is conveniently located and offers many self-drive opportunities. 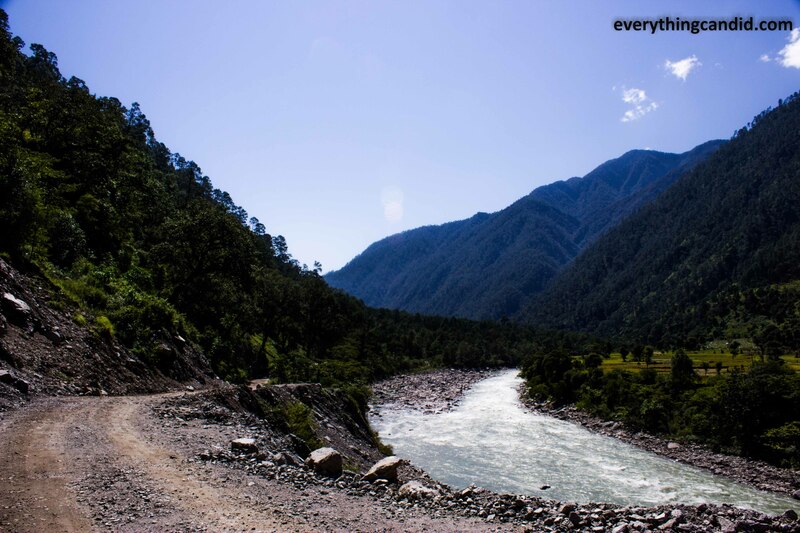 After traveling 300 KM in either direction, there are great Himalayan destinations in Uttarakhand and Himachal. 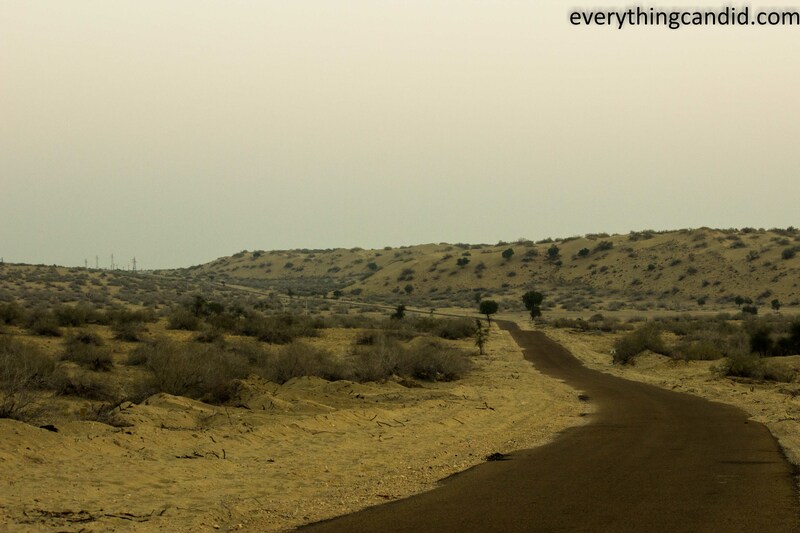 If one wishes to enjoy Indian royalty and desert storms then Rajasthan’s desert region is also roughly 500KM fromDelhi. Most talked about adventurous location of India Spiti Valley, Ladakh, Jispa Valley, Gangotri, Kinnaur are all located in the range of 500Km to 1000KM from Delhi. And Central region of Himalayan kingdom of Nepal can also be reached overnight from Delhi. ⇒⇒⇒⇒⇒⇒⇒ Discover Amsterdam. Book Amsterdam Tour Packages Today. Know your vehicle well and carry essentials: If aiming for 500KM+ one side travel, make sure you visit service station before hitting off the road. Wheel balancing, oil levels, filters, brake pads, batery etc should be checked. Be aware of ground clearance of your vehicle and age of tyres also. Check the condition of spare tyre as well. Once on move, if driving in plain, keep checking tyre pressure after every 200Km and if driving on hills after every 50 KM. Portable tyre inflator will come handy for long distance traveling.One must learn the art of puncher repairing. So, carry a puncture repairing kit with you too.If going on a rough and bumpy drive like Ladakh, Spiti better buy a hydraulic jack. Carry a tow away cable of 3-6 tonn not just for your vehicle but also to help others. Most important, don’t be over confident on your vehicle and your driving skills as it may turn out to be your biggest enemy. Push hard on the first day and the last day: Push hard doesn’t mean you drive fast and furiously, but drive for long hours on first day and last day as it would surely save one or two nightstays in hotels. For this, on day-one leave early from your home and drive for long hours and similarly on last day, leave early from hotel and drive for long hours, even if you reach midnight at your place it should be OK. Usually I do 15-18 hours driving on first day and last day and it’s possible because I drive easy and take multiple stop. It has helped me enormously in saving on nightstays in hotels. On other days of travel also set off early each day as this will allow you to take multiple pit stops and take photos or enjoy the scenes. Always keep a day for resting when you are back from long distance self-drive expedition. It’s important for two reasons, firstly in settling back with everyday’s work and secondly in retrospecting your journey. 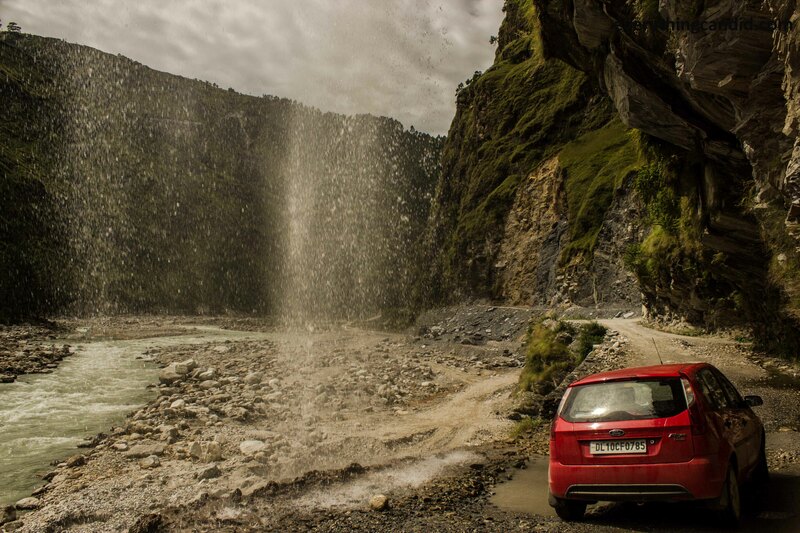 Adventure at best: the River, the Rugged Road, The Water Fall, The Car!! Food and Water: Carry as much food as possible from your home. Stuff your car with fruits, various dry fruits and light snacks. We also carry a lot of homemade stuff like Roasted Makhana, Roasted rice grains which is also known as Muri/Murmura/Murra/Parmal, and pop corn. Take in plenty and keep supplies handy. Eat in regular interval as your body requires constant supply of calories. Stocked food will enable you to locate a scenic spot to stop at and relish the food without putting efforts to find a food joint. 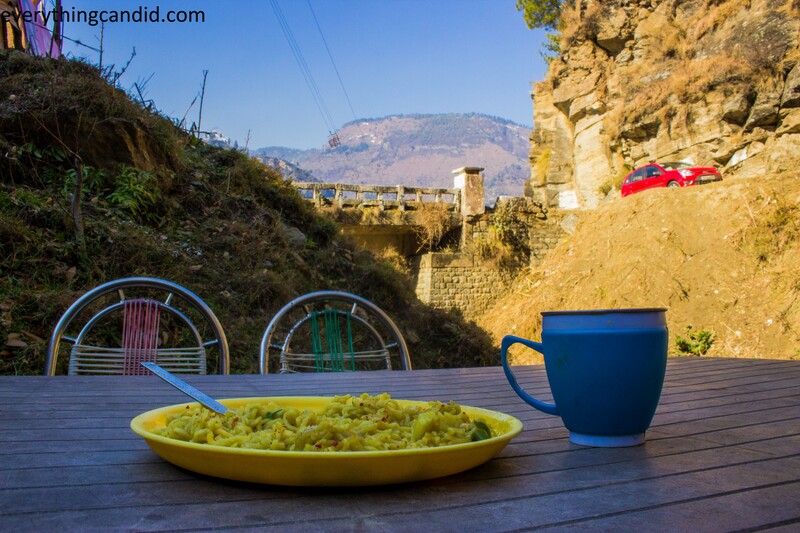 And nothing is better than relishing food in a valley surrounded by mountains under clear blue sky. Now let’s talk about water, again carry as much as you can. You will have to drink a lot of water to dash off sleep syndrome and it also helps in big way against AMS in hills. Buying water bottle @20/- or more is quite a dent on wallet. Also in remote locations sometimes it’s hard to find packaged water, so its better to put all the bottles in your home in the car and also keep a water dispenser if possible. Stocked food and water will help you in achieving budget targets for sure. Maggi under Water Fal near Naggar. Road Side Dhaba: Before commencing your trip, you must do enough googling to prepare your food-map as well. 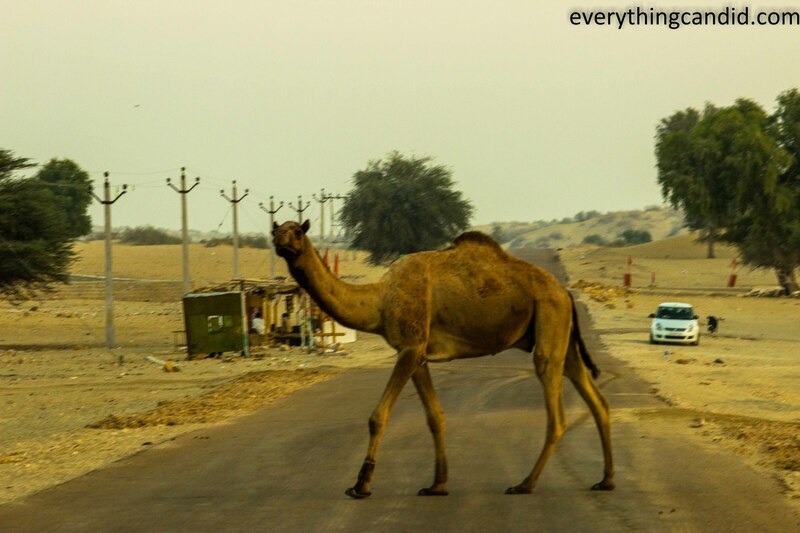 At least, once in a day you will have to eat at some road side dhaba, which is always a good option for budget travelers. I am a foodie and self-drive enables me to try different places and different taste. 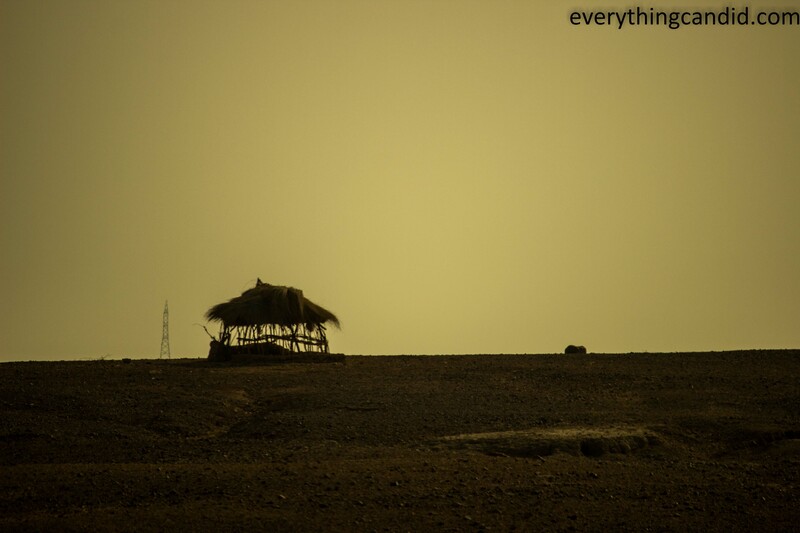 Identifying a dhaba is equally important and it’s an art in itself. For travel junkies, thumb rule is to stop at a dhaba which has long queue of truckers. Better for you, if you stick to this rule. When you enter the dhaba ask for what they sell the most and order the same. Usually dhaba owners are very good host and I have even entered their open kitchen and direct them to prepare as per my wish. Dhaba chaps are very good information provider, so also talk to them about other food joints, road conditions, ATM locations, off-track locations, any local mela/fair/festivals etc. Spend some time with truckers also and understand roads and directions. 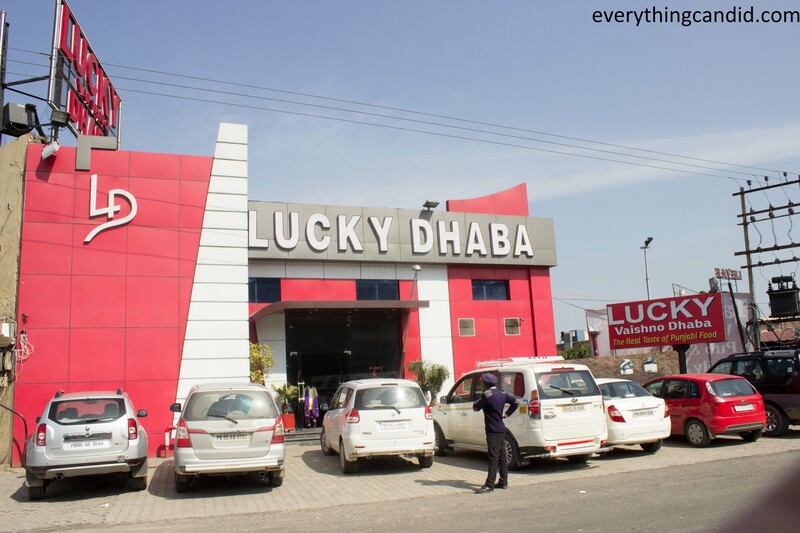 Lucky Dhaba, Jalandhar: NH1 ki Shaan! Photography: When on self-drive mode, you have all the liberty to stop at your wish and thus technically you are sure to click more and often. It will take a toll on your camera battery and you may miss many beautiful scenes, landscapes, people on the way if its drains out. So buy a car powered camera battery charger. I am using one and it even charges my laptop. However, don’t indulge only in clicking photos, sometimes stop at a spot and soak in yourself with the nature. Relax, rejuvenate yourself and enjoy the nature with your naked eyes. Gives eyes time to engrave the scene in your memory. Usually I prefer photographing on my way up and strict to no photography on my way down. Fuel: Fill up your petrol/diesel tank regularly. If you wish you can carry few liters in jerry canes or in bottles. I personally don’t do this, though many people do this. Also make a note of filling stations on the way with a special mention if they accept Credit/Debit card. Where ever possible pay by Card and save on cash. Anytime you must have enough cash with you. Always carry twice the amount of cash you budgeted for, in case of emergency. Obey traffic rules: Obey speed instructions and follow all traffic rules and maintain lane discipline specially while driving in hill regions. Don’t indulge in bickering with anyone on the road, as it will spoil your mood. On hills, read sign boards carefully and stick to the directions on them. 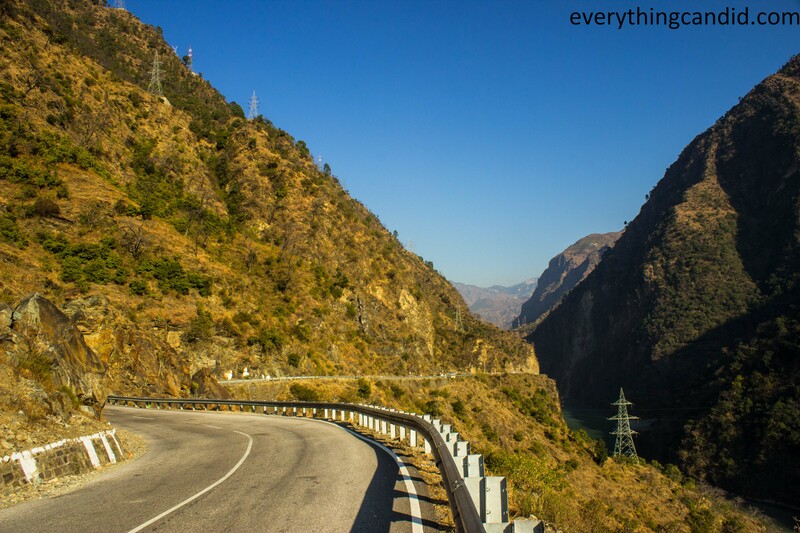 In my view, driving in hills requires only two skills, first, drive in your lane religiously and second, use gears to control speed not the brakes – use engine braking as much as possible. Ideal rule is to come down a slope in the same gear you would go up in. Most accidents happen on way down, so be careful while driving down a hill. 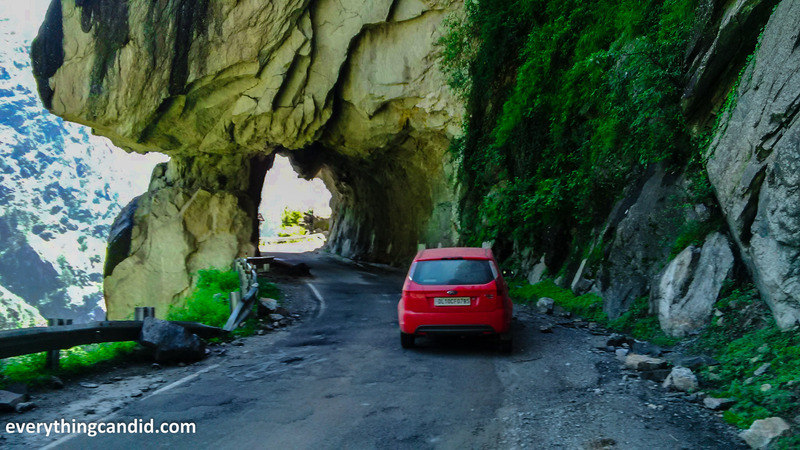 Off-tracking: I self-drive because it empowers my soul to feel the freedom and enable me to get to places off the beaten track. I have the liberty to be on exploration mode always. So keep talking with local people, road side shopkeepers, fellow travelers to understand the off-track locations. These off the track locations will dazzle you with their offerings. Music: Keep your pen drive loaded with music for every mood, of every genre. In India, scene changes very fast, traffic changes randomly, road conditions are unpredictable and all this causes a rapid mood change also. So to keep yourself alive you must have loads of music. Help others: Core mantra is to make friends, help other fellow travelers, wave hands to locals. These things will make your journey memorable and keep you happy. Make memories at each moment. Memories of each trip should be beautifully engraved in your mind and each day must tickle your feet to drive back. 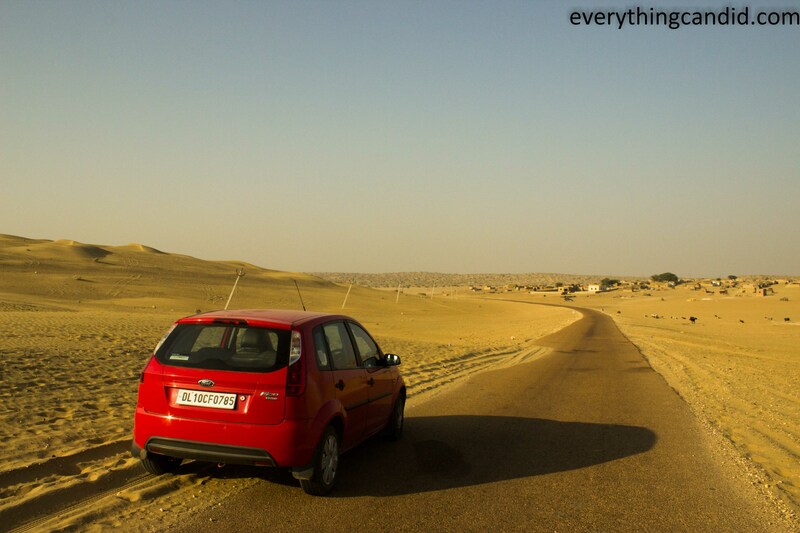 Self drive gives you freedom to drive at your pace, stop at your wish, relish local food and make every mile counted. The whole point of the Self-driving holiday is to enjoy the journey, take frequent breaks, admire the scenery and create memories for lifetime. It gives wings to your soul and after every trip you come back a better person. 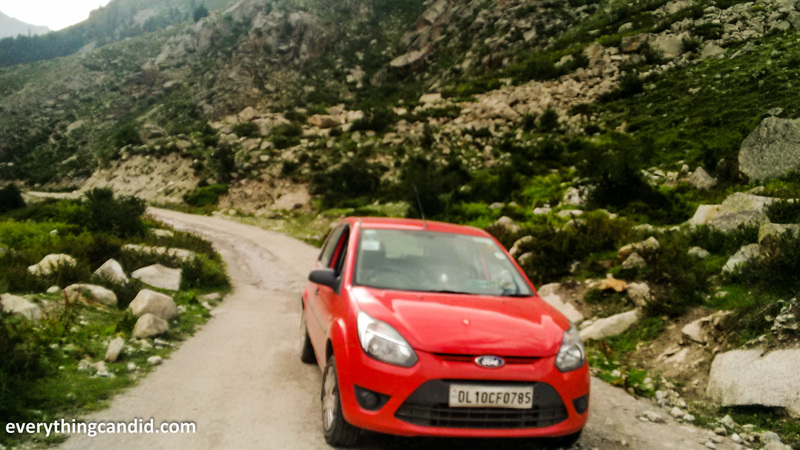 If you’ve been to self-drive road trips, please share your experiences and any tips for other’s benefit. Happy self-driving and safe road tripping. 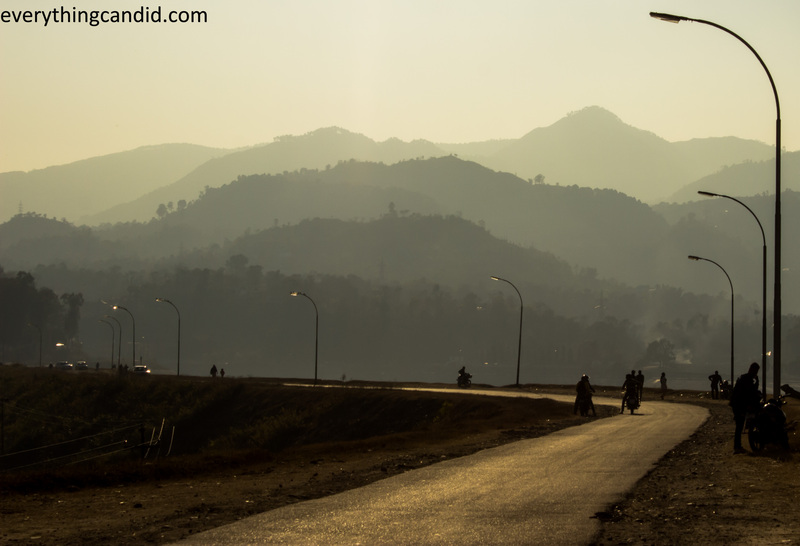 A road along the Sundernagar Tank: Picturesque Backdrop! 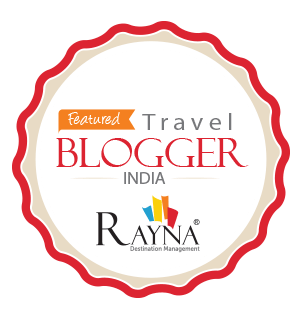 Great Indian Food Trail – Bun Samosa at Kasauli, Himachal Pradesh, India!! That’s an awesome article. Like you said once, you are lucky to be located at a convenient place. Well many people forget to fill their spare tyre. It will be lying there for months with our air inside!! That’s one common thing that I have seen. Thanks for finding the article awesome. Yes you are true, at time many people forget to tk cr of very small things! All very good advice and particularly helpful as we are about to go on a road trip. WIIsh you all the best…. and do share your experience. Road trips are so freeing! You can make the choice to stop or not, or even change your destination altogether. I have drive across the United States and through parts of Europe and your tips are right on the mark. Being prepared with supplies and making sure your car is ready can make or break a road trip. Wow…would love to go thru your road trips… please share some links. Great tips. I love road trips. Glad that u like it. Please share your tips on road tripping. This is a great list of tips that will help no matter where you’re driving. Thanks. GLad that you liked them. Music is definitely an important part of every road trip! I make sure we have a specific playlist ready for every journey. I don’t drive, so I can’t really relate, but I like the post idea.I’m sure music and food are crucial. Great tips, plus many of these things are necessary when on the road for long periods. You never know when you’ll get a flat and be stuck without help. This is a good list – some things are absolutely essential for a roadtrip. You never know when you’ll get stranded with a flat or something. So true. Its a kind of broad checklist. Thanks Ollie. Self drive road trip means freedom. 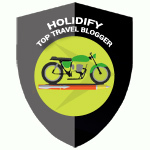 And if u read my blogs…they are mostly abt road tripping. 🙂 and hence i give good footage to my car also. I am planning a road trip so I am glad I stumbled upon your post! Love your tips! Thanks. Look froward to hear more about your trips.